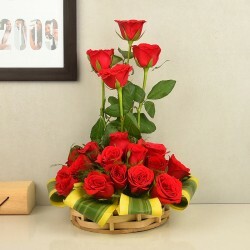 Create a moment of awe for your loved one as you send Valentine flowers to Ghaziabad online. Choose Valentine's Day flowers and gifts from our palette that incorporates an expansive collection of flowers ranging from roses to orchids, in varied colors. 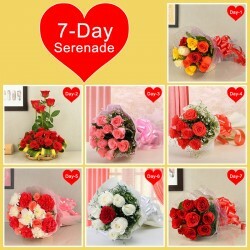 Order Valentine flowers with garden-fresh look from MyFlowerTree. Valentine’s Day is a special day that upholds the opportunity to celebrate love with the special person in your life. 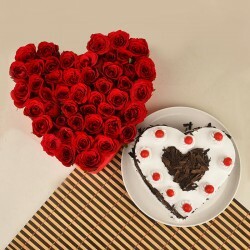 In short, it is a festival of love when people give Valentine gifts as an expression of love to their lover. But, no matter what, out of a wide variety of gifting options, flowers stands true to the sentiments of love, passion, admiration, romance, and affection. Therefore, this February 14th avail Valentine flower delivery in Ghaziabad and get romantic blooms delivered to your special one’s doorstep. February 14th is a day that everyone wishes to celebrate in the best way with the special one in their life and so does you, right? Well then, plan a beautiful surprise for your girlfriend this Valentine’s Day and make her feel special with MyFlowerTree. 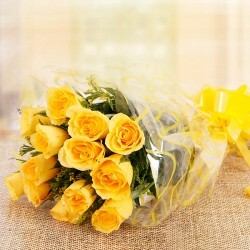 We provide flower delivery in Ghaziabad to make your Valentine celebration a memorable affair every day. This Valentine’s Day, you don’t need to go to a crowded flower shop to buy a bouquet for your beloved because you can now order Valentine flowers in Ghaziabad from the comfort of your home. There is hardly anyone in this world who doesn’t appreciate flowers. Everyone loves to receive a bouquet of gorgeous flowers on a special occasion like Valentine’s Day. Flowers can not only make anyone smile instantly but also express various sentiments. 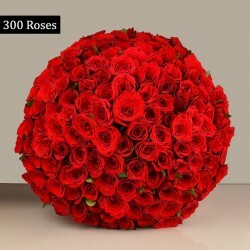 At MyFlowerTree, you can find every type of Valentine flowers that are arranged beautifully with utmost perfection. For example, we have bouquets, vase arrangements, basket arrangements, heart-shaped arrangements etc. Whether you are looking for roses or carnations or orchids or lilies, get every type Valentine flower available at our online flower shop in Ghaziabad. We deliver fresh Valentine flowers to our customers. 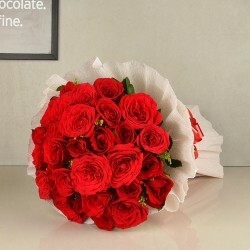 So, you can completely rely on us for the best quality of Valentine flower bouquets in Ghaziabad. 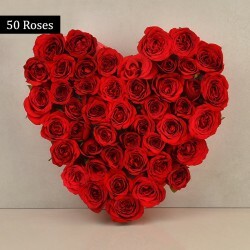 MyFlowerTree also provides a wide variety of thoughtful Valentine gifts like delicious chocolates, scrumptious cakes, cushions, mugs, photo frames, teddy bears, and so on. Flowers play an important role in relationships. They help you in strengthening up your bond with your beloved. When you choose and present the right type of Valentine flower to your partner, you make him or her feel special, which further strengthens your relationship. Similarly, if you will send Valentine flowers to Ghaziabad for your beloved who resides there, she is sure to feel special and loved. If you have been secretly stalking someone for a long time but never had the courage to express your feelings for her then , this Valentine’s Day, go ahead to express your love for her by delivering a bouquet of flowers delivered to her doorstep along with a message. 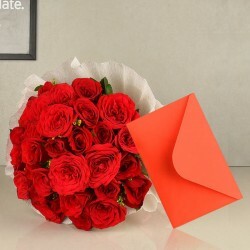 MyFlowerTree ensures same day Valentine flower delivery in Ghaziabad to all its customers. So, avoid the crowded flower shop and cake shops on Valentine’s Day. 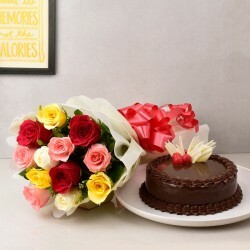 If you want to surprise your beloved by sending the best quality of Valentine flowers and Valentine cakes to Ghaziabad then, rely on us to plan your Valentine surprise for your special one.